Got an event coming up? Whether it's an intimate gathering, birthday celebration, wedding, funeral or just a party for family and friends, Back's Deli Private Catering service is your answer. We can offer you some pre-written popular menus, but we really love to have a good chat with you about how we can best meet the needs of your guests. All our menus can be adapted to suit a themed event and below is just a sample of dining options we can offer. Better still … give us a call, we want to make you happy! We recommend 3-5 canapés per person. We have listed a few of our most popular. If you don’t see what you want - just ask. 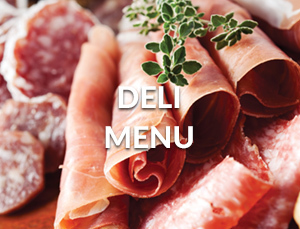 All our platters are made fresh from ingredients from our renowned deli. We have listed a few of our most popular. If you don’t see what you want - just ask. Deli meat platter - including pastrami, Italian ham and salami served with pickles and mustard. All our buffet items are prepared from fresh ingredients from our renowned deli. We can tailor your cold buffet from a selection of the following options. We have listed a few of our most popular. We like to work with our clients to create the meals that suit them best. As well as a buffet style, all our hot deli meals can be served in individual bowls. Bowl food is a great alternative to traditional buffet. Served in small bowls so your guests can experience more off our culinary delights. We recommend 2-3 per person. We have listed a few of our most popular. If you don’t see what you want - just ask. Minimum 20 bowls per dish. In addition, we can offer a range of hot barms including roast pork loin with stuffing and apple sauce or a classic bacon or sausage barm. We specialise in BBQs. They’re great for garden parties for you and for your guests. We provide the BBQ, plus a gazebo for us to cook under (handy if it rains), which means we can BBQ all year round. Let us do the cooking, leaving you to enjoy the fun! Jerk or herby chicken thigh, sausages (Lincolnshire, Spiced beef, Moroccan spiced lamb add 50p per person), rib-eye steak slices, marinated king prawns, grilled aubergine slices, grilled haloumi slices, and ½ soft baked panini. If you would like a spice that is not listed let us know and we’ll see what we can do. If you would like a sauce that is not listed let us know and we’ll see what we can do. 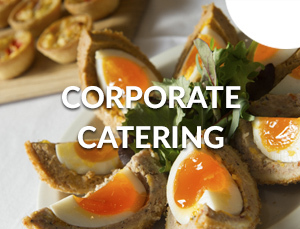 If you have a specific special event from a wedding to feeding the film crew, Backs catering are there to help.